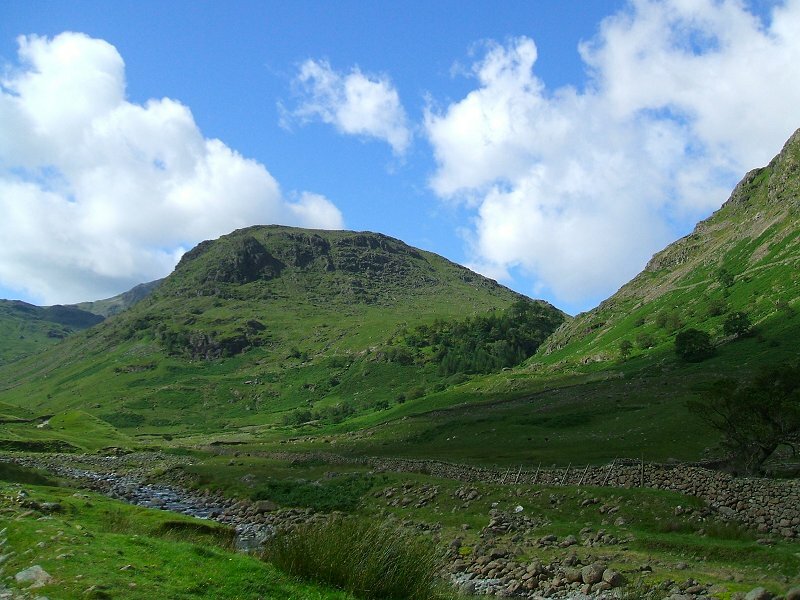 We picked a lovely day to walk a round some of the fells above Seathwaite. 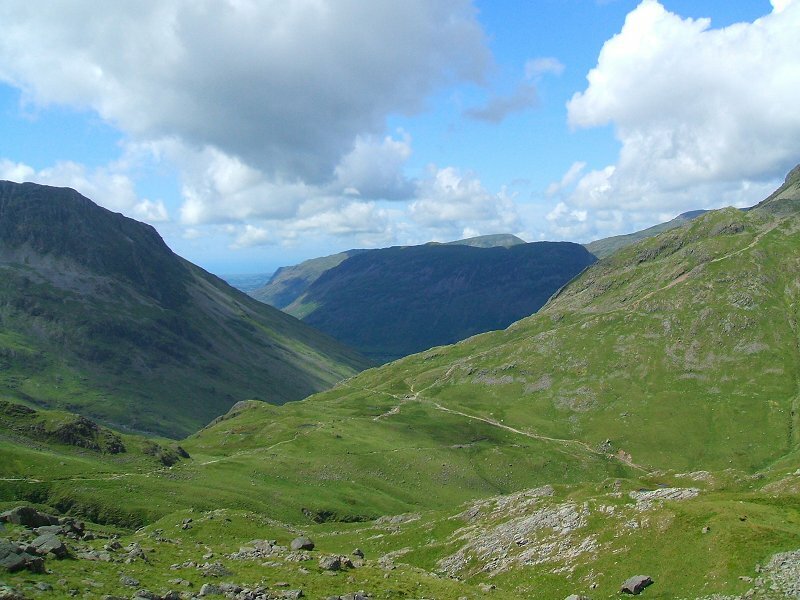 We started of by going straight up the steep front face of Seathwaite fell. This looks nigh on impossible from here but was a surprisingly easy climb on grass. 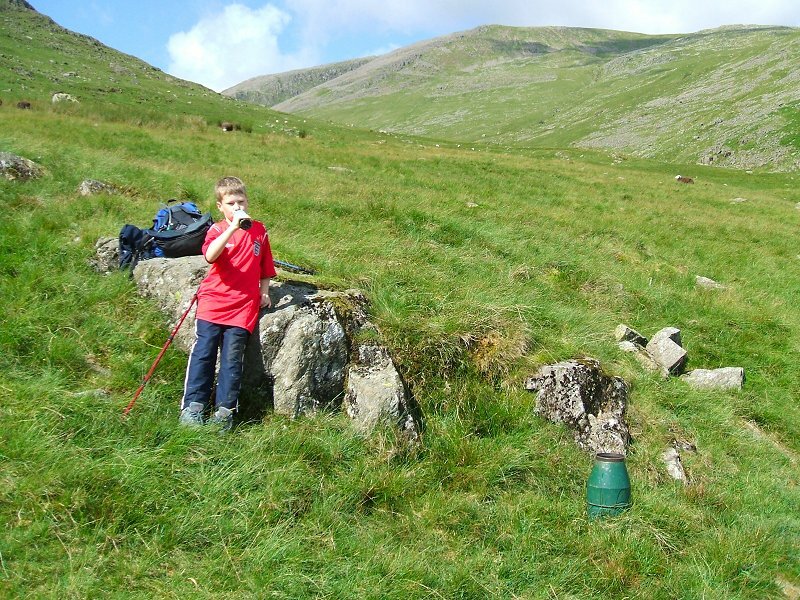 James takes a drink at the rain gauge on Seathwaite fell.. 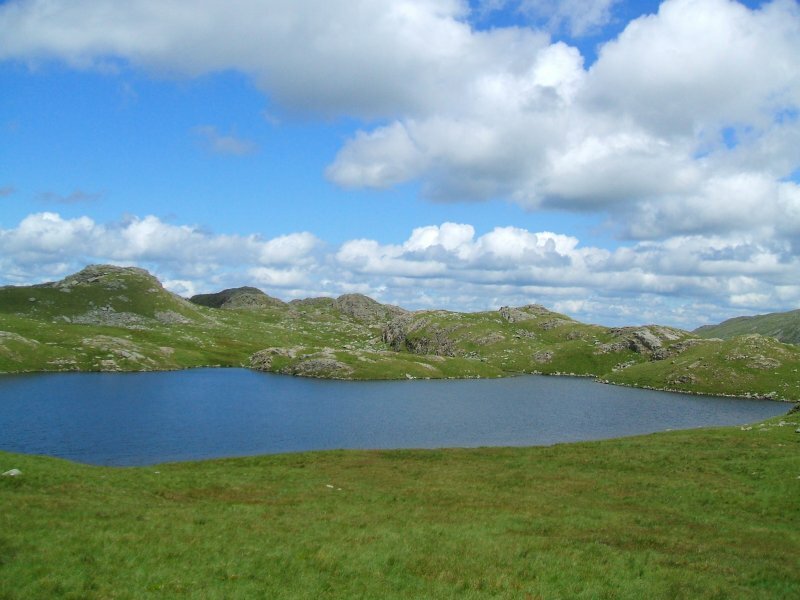 So this is officially the wettest spot in England ? Not today ! 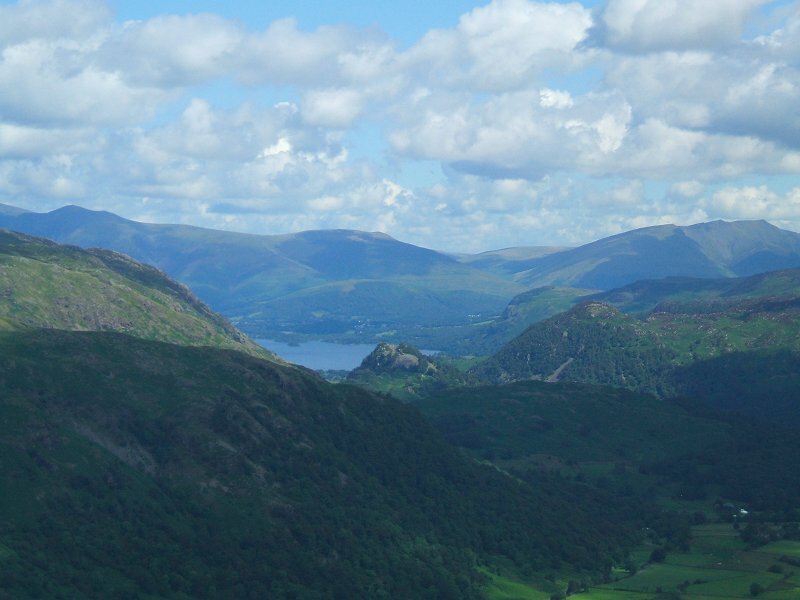 Castle crag and Derwentwater from higher up on the fell. Looking down on the Styhead crossroads from Seathwaite fell. 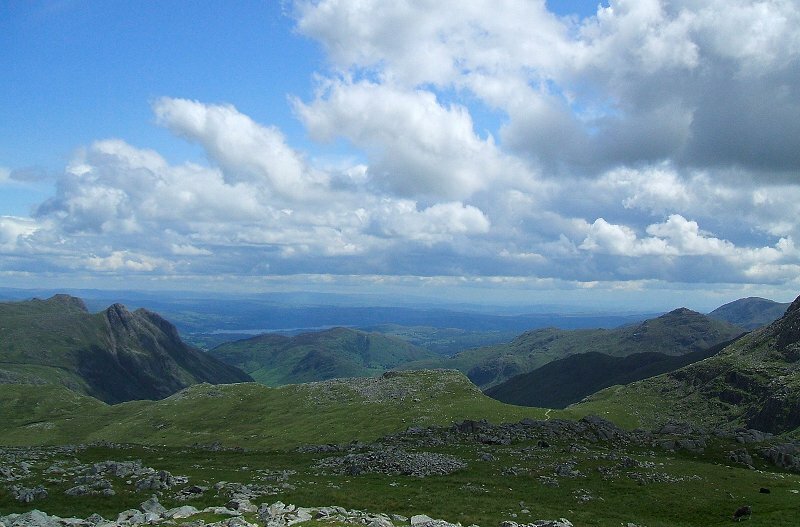 The south easterly panorama from Allen crags. 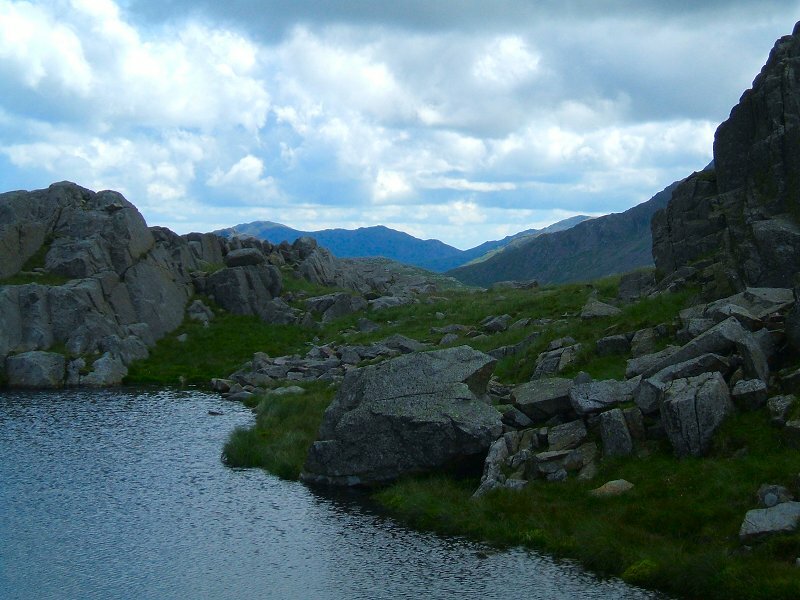 Bowfell seen from the superb High House tarn. 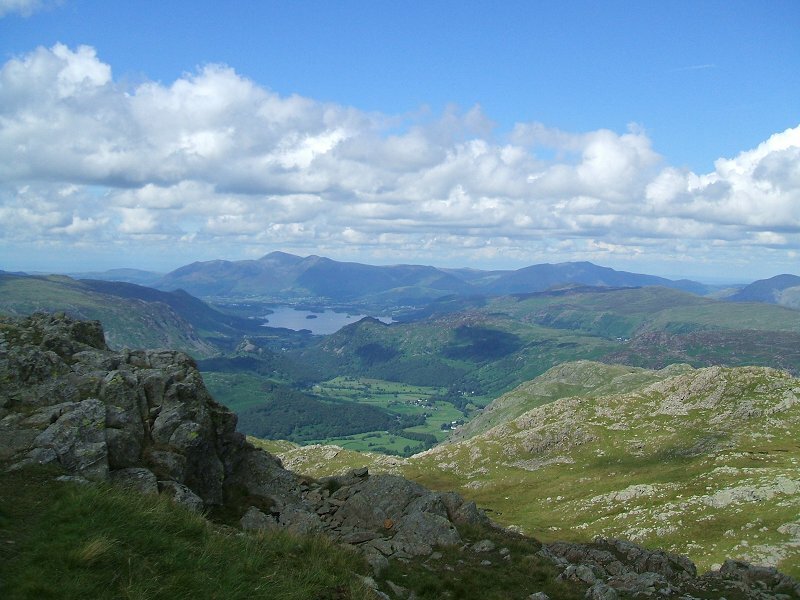 Looking down into Borrowdale from Glaramara. 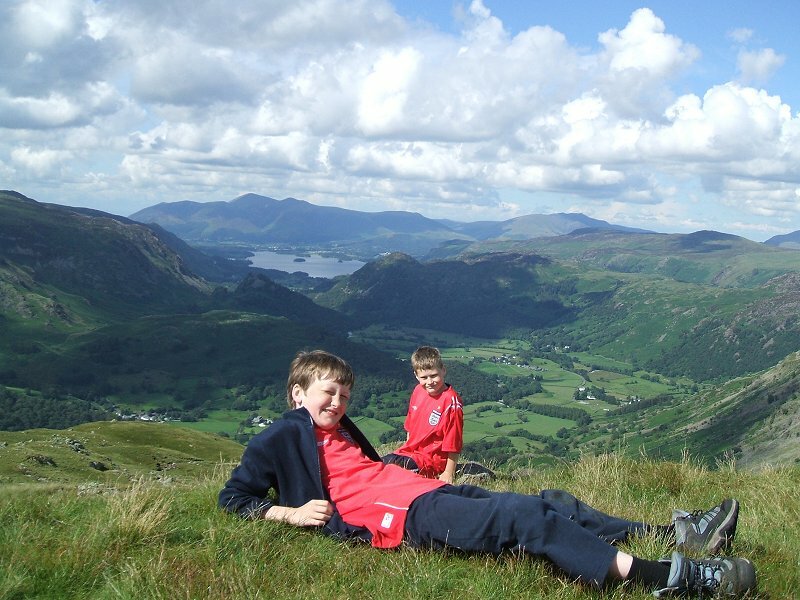 Rob and James looking remarkably cheerful considering we had a walked a fair way and still had a couple of miles to go.